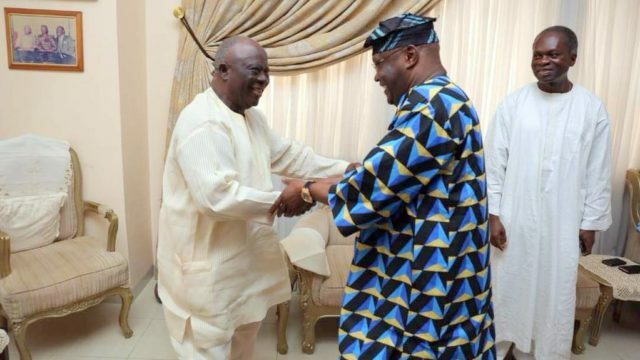 The Pan-Yoruba socio-cultural group, Afenifere, has reiterated its resolve to support the candidacy of former vice president and frontline presidential aspirant, Atiku Abubakar, come 2019. The group made its position known on Sunday when it hosted Mr Abubakar in Lagos. Speaking at the event, a leader of the group and pro-democracy veteran, Ayo Adebanjo, stated that the group has taken time to think through all the aspirants and looking at the dossier of Mr Abubakar, there is a general consensus that his desire for restructuring is genuine. 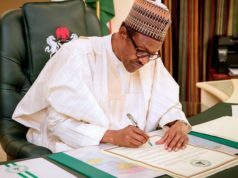 “You (Abubakar) have been writing about restructuring over a decade ago. You gave me your commitment to restructure Nigeria within six months in one of our meetings several years ago. “We know that there is no greater champion of restructuring from the North than Atiku. In his remark, Mr Abubakar stated that his commitment to restructuring is absolute and this position has once gotten him a query when he was vice president. “In all my political career, I have not seen Nigeria in a state of danger that may affect its existence as a country as at today. This is because – just like a house- if you get a faulty foundation that building is not likely to last. This is where we find ourselves. “As a vice president, I came to Lagos then to discuss why we should restructure this country so that we can survive and provide leadership for West Africa, Africa and the rest of the world. That lecture earned me a query from my boss then. 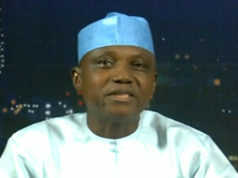 I can assure you that I will restructure Nigeria within six months of my administration,” he said. Present at the gathering were former senator Femi Okunronmu, a former works minister, Adeseye Ogunlewe, among others.